Ada Lovelace, daughter of the English poet Lord Bryon and Anne Isabella Noel Byron (née Milbanke), was arguably the world's first computer programmer. Her notes on Babbage's Analytical Engine, published as additions to her translation of Luigi Menabrea's Sketch of the Analytical Engine Invented by Charles Babbage contain an algorithm for computing Bernoulli numbers. Some biographers downplay, or outright dismiss, Ada Lovelace's contributions to computing, but James Essinger, author of "Ada's Algorithm: How Lord Byron's Daughter Ada Lovelace Launched the Digital Age" is a firm supporter of Lovelace's place in the history of computing. 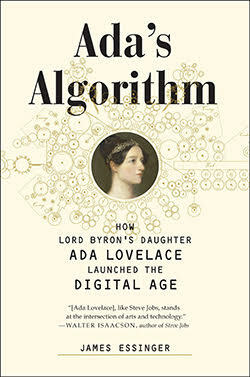 In Ada's Algorithm, Essinger paints a fascinating portrait of Ada Lovelace's life. Each of the book's 18 chapters is written in compelling, easy-to-read prose and is supported by the strong use of primary sources. The earliest chapters cover her parents' lives and the events that led to their marriage, Ada's birth, and their separation when Ada was an infant. The remaining chapters cover Ada's life from childhood, as she was raised by her mother, to her unfortunate early death from cancer at the age of 36. The final chapter serves as an epilogue, focusing on Lovelace's and Babbage's legacies in the years following their respective deaths. Each chapter covers a portion of Ada Lovelace's life, and the entire book provides a complete picture of a fascinating historical figure. The only flaw with Essinger's book is that it tries to be both a general biography and a case for Ada Lovelace's brilliance as a contributor to the field of computer science. The early chapters about her parents' marriage and separation are interesting, but they take up considerable space in this short volume. Ada's Algorithm comprises just over 250 pages, so every chapter that focuses on ancillary issues feels like it could have been used to bolster material more directly related to Ada Lovelace's work with Babbage. Readers who are interested only in Lovelace's work on the Analytical Engine could probably read only chapters 12 through 15 and come away with a decent understanding of Lovelace's contributions to computer science. 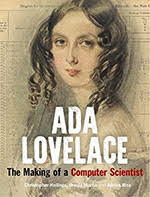 Opting to write an comprehensive biography versus a focused narrative about a subset of Ada Lovelace's life is a valid decision, and Essinger does an excellent job with it, but his argument supporting Ada Lovelace's role in the history of computer science could have been stronger had he trimmed the broader life story to focus more on her work with Babbage. Charles Babbage's inventions and Ada Lovelace's ideas for their use represent one of greatest "could have been's" in the history of computing. Essinger's biography makes a solid case for including Ada Lovelace in the list of computer visionaries. Babbage was a brilliant inventor, but Lovelace had vision. While other biographers take a more jaded view of Lovelace's contributions, Essinger makes his case well, and this biography is an excellent place to start learning about Ada Lovelace. This fictional novel covers Ada Lovelace's life, from her parents' meeting to her death. 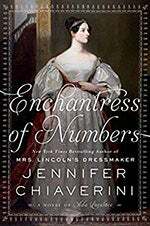 While it takes some liberties as a work of fiction, the novel offers an interesting account of Lovelace's life and the society in which she lived. A science-fiction classic, this novel explores a world in which Babbage's analytical engine was built successfully, and the information revolution hit Britain—and the rest of the world—a full century early. A biography of Ada Lovelace, written by mathematicians. This slim volume—only 128 pages—explores Ada Lovelace's interest in, and contributions to, mathematics in much greater depth than other biographies. A great choice for anyone interested in digging deeper into Lovelace's work. 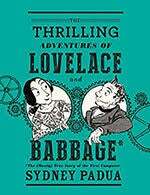 Babbage and Lovelace have many over-the-top adventures in this graphic novel. The adventures are not historically accurate—nor are they intended to be—but they are amusing. The copious footnotes are well worth reading. 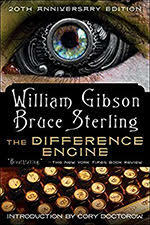 A fun read for anyone looking for a lighter take on Babbage and Lovelace. An illustrated biography of Ada Lovelace written for young readers. This book provides an overview of Ada Lovelace's life in only 40 pages, but it covers many key events. It was a Top Ten selection in 2017's reading list of feminist books for young readers, compiled by the Amelia Bloomer Project. Excellent review, Joshua! I really appreciated seeing the related materials.